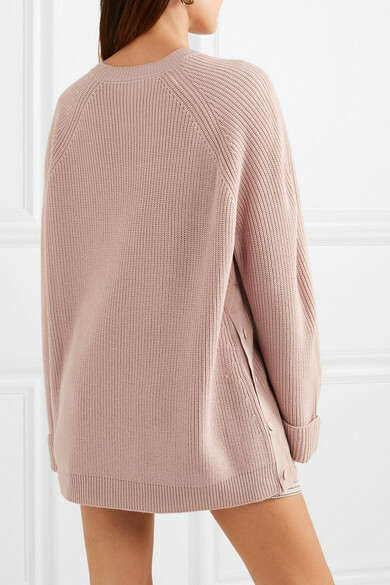 REDValentino's ribbed sweater is knitted in a loose silhouette from soft virgin wool. 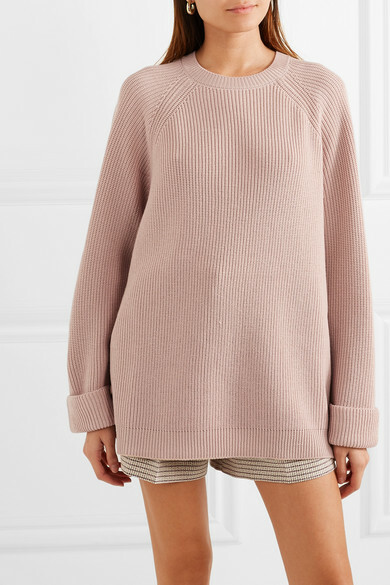 It's trimmed with snap fastenings along the sides - accentuate the volume by unfastening them. 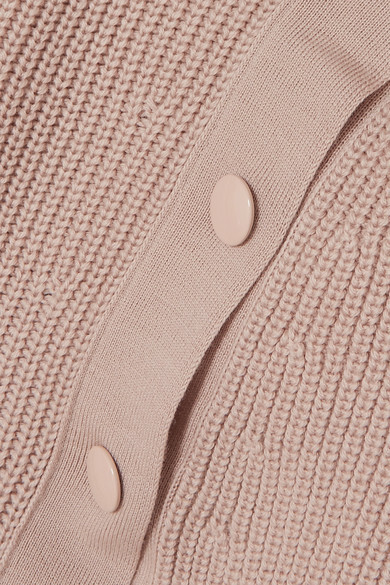 The pretty pink shade will go with a host of neutral hues. Shown here with: Fendi Shorts, Montunas Tote, Fendi Flats, Leigh Miller Earrings.